The sad story of a Nigerian widow who was reportedly assaulted by her late husband's family has left many people in a state of sadness. According to Rose Chukwuanu, the Nnebolisa family in Ihiala, Anambra State, reportedly beat up the woman, vandalied her home and stopped her from entering her late husband's farmland. "Hello friends see what happened here in Ogboro Dimukwu ihiala LGA. 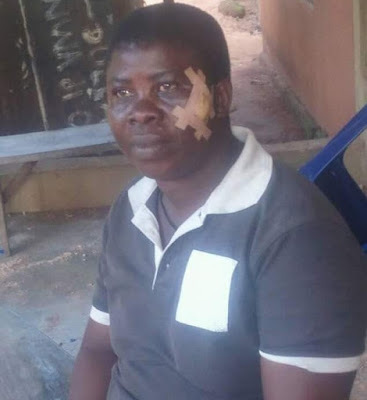 A widow in the family of Nnebuolusa in dimukwu ogboro ihiala Anambara state, was beaten by they family she was married into. They even stop her from farming in their family farmland...see what they did to her just because she has no husband...she lost her man May 28, 2002. Ever since she and her two sons were living a life of hell on this earth by the hands of her in-laws. WHAT Do You Thinks that she will do to save herself and her sons from been killed by them? They have tried to kill her with Cutler even with juju but her God is alive. This matter is still in the police hands now. Am even there now..."